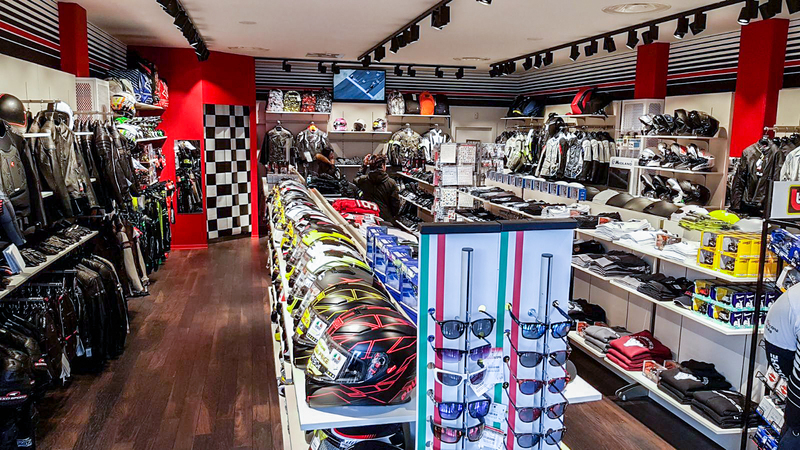 Motosore is nowadays the first Italian outlet chain in the world exclusively dedicated to motorcycle clothing and accessories. Every motorcyclist needs the maximun security around his body to enjoy every single emotion coming from the street, no matter what means are used. We can assure this security only with our partner’s best products! The team of every single store is constantly formed to advice every single customer to choose the best and safer solution for their needs together with the convenience of the outlet prices. Every member of our stores’ sales staff is formed and currently updated with special follow-up courses, held from the same brand partner companies, manufacturing of all the goods in sale in our stores. You can find all the answers to your questions in every Motostore shop!